If you own or manage a pub, club, bar or casino, Thornhill Security has a range of products to help you protect your business from internal and external theft. The security of a premises like this is very important to get right due to the large amount of cash handling and the volume of people likely to be there at any one time. Which Safe Is Right For My Premises? Pubs and clubs generally deal with a lot of cash, most nightclubs accept exclusively cash for entry and therefore tills fill up quickly. Till safes provide a secure place to store till trays when they are not in use. This is useful for quickly securing cash when you are past trading hours or to store cash overnight. 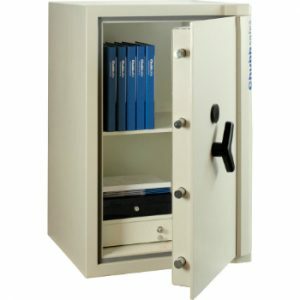 Till safes are equipped with drawers and shelving so documents can also be stored. Under counter safes are small, high security deposit boxes that are kept behind the bar, out of view. Bar staff can safely deposit any excess money into the safe so that there isn’t ever too much left in the till where it is more vulnerable. ‘Smash and Grab’ till robbery is one of the most common crimes in pubs and clubs because thieves see it as an easy target. 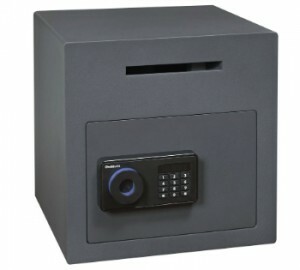 Under floor safes are a good high security measure for pubs and nightclubs as they keep cash secure and well hidden. 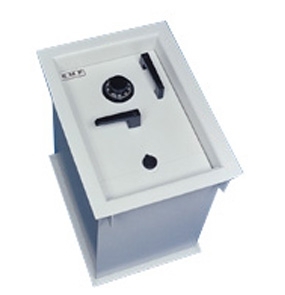 These safes are encased in concrete to prevent removal, have drill resistant entry points and waterproof covers. It is unfortunately true that 76% of fraud and theft in businesses is carried out internally; floor safes can be fitted with a chute that reaches floor level enabling staff to deposit valuables and cash into the safe without being able to access it. This allows you to minimise the amount of people with direct access to your deposits. table. 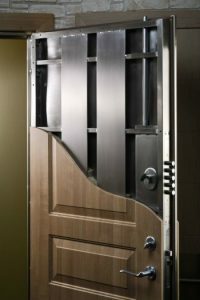 Steel security doors add an extra layer of security, they cannot be kicked down like ordinary front doors, and they are drill and impact proof whilst also preventing crowbar entry. Panic bars can be fitted to allow quick release for personal in the event of a fire or other emergency. If you’re ever concerned about any of your customers wandering into the wrong rooms because they’re lost or for other more malicious reasons you can add digital locks to restricted doors. This allows keyless entry to rooms where a 4-12 digit pin code is entered, the pin can be changed with ease or you can even set up a temporary access code to give people access as you see fit. Implementing one of these systems prevents unwanted people from accessing staff areas and eliminates the need for keys. Bouncers are hired to run the door at nightclubs, to check ID’s and keep out people who may be aggressive or too drunk. They may tap people down to try and determine if they are hiding something whether it be a weapon or a hip flask. 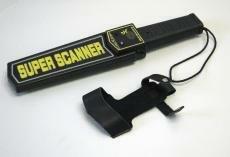 Equipping your doormen with metal detectors allows them to detect any kind of metal weapon or illicit item, without slowing down the entry process for your customers. For any more information or advice on any aspect of commercial security give our friendly and experienced team a call on 0117 967 4994.